Not long ago we learned that , but we could only speculate which ones they could be, such as the 86 sports coupe and Lexus RC. recently spoke with Toyota North America CEO Jim Lentz and now we have a better indicator as to what may soon be a goner. “Yaris doesn't do much in the U.S.,” he said. “I'm not sure, at least in the U.S., how important that segment is.” This shouldn’t come as much of a surprise considering the entire subcompact segment in the US was down by 21 percent through last month. Even sales of the Yaris iA, nothing more than a rebadged Mazda2 sedan, dropped by 28 percent. The Yaris hatchback’s numbers were even worse, down by 78 percent. 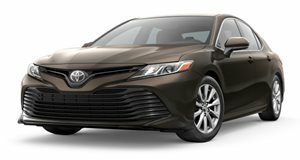 Why is Toyota interested in ditching unpopular models in the US even though it’s financially healthy? Because Lentz’s bosses in Japan want him to bring back profitability to previous record-setting levels. Much of the auto industry, in general, is examining ways to reduce costs as the era of electric cars, self-driving, and other mobility advances get underway and no one really knows what’s exactly going to happen. It’s better to be safe than sorry. Toyota CEO Akio Toyoda also wants to increase profits in order to increase investment in those costly technologies. Models that are weak sellers don’t stand a chance. 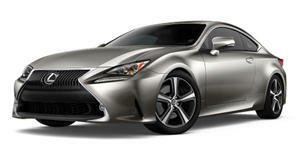 Aside from the Yaris, we also wouldn’t be surprised to see both the current 86 and Lexus RC getting axed as well. What is Toyota’s profit precedent? The fiscal year that ended on March 31, 2016, the year Toyota achieved a North American operating profit record of $4.73 billion. Dropping slow-selling models is just one way Lentz can save money, but traditional cars like the Corolla and Camry are safe. Both are core to Toyota North America. What is also possible is a Prius lineup refinement. 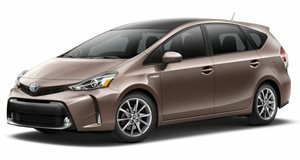 “There may not be a need for (the) Prius family in the future,” Lentz said. 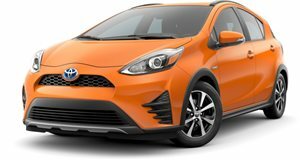 Last year, for example, the Prius v wagon was dropped and we wouldn’t be surprised to see the Prius c hatchback suffer the same fate. Lentz also plans to rebrand the hybrid portfolio and to broaden the sales pitch beyond just fuel economy. “As we expand those volumes, we're going to have to rebrand hybrid to make sure people understand it can be economical, but it can also be fun to drive,” he said. 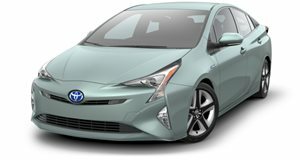 By 2020, Toyota wants hybrids to account for 15 percent of its US sales, up from around 9 percent today.